Finding yummy, nutritious and delicious recipes to fill your pouches with are made a cinch with Sinchies reusable pouches. 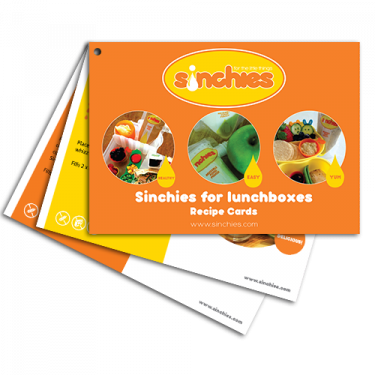 Our lunchbox recipe cards take the fuss out of finding new ideas for your children to take to school and daycare. Featuring 20 delectable recipes sure to tingle the taste buds of children and have them asking for more. With new recipe cards soon to come!